Chhom Nimol chatted with Leng Pleng about singing with Dengue Fever, preparing for her upcoming Don't Think I've Forgotten live shows in New York City and playing Cambodian music to a Mexican audience in El Paso, Texas! Read the full Leng Pleng interview piece here. Click the download link on the right-hand side of this page to hear the fantastic new Dengue Fever album, The Deepest Lake. Scott Bywater was gallivanting around Vietnam last week when the news broke of the sudden closure of one of Phnom Penh's finest venues, Equinox. Leng Pleng persuaded Scott to write a few words in tribute to the late, and much lamented, Street 278 establishment. Read Scott's insightful impressions (and poem) in Farewell to Equinox. The Cambodian Urban Art Festival will be launched today with a special concert at The French Institute in Phnom Penh. A host of happening KlapYaHandz artists including Sreyleak, Ouk&Yut and Ago will perform live sets. For more information about the Cambodian Urban Art Festival, check out our sister publication Kumnooh – an online contemporary arts guide for Cambodia. Also on Thursday, Amanda Bloom is at Doors Phnom Penh with her long-time musical collaborators Tara Mar (cello) and Michele Bowen (bassoon). Amanda will be showcasing her incredible skills on the Doors grand piano and singing songs from her new album Atlas. Check out the awesome video below to hear one of her finest compositions to date, Pleats of Fortuny. This weekend will be a choice time to visit the bohemian arts scene of Kampot. Bodhi Villa will hold its closing party on Friday night, giving revellers one last chance to make the wooden-structured venue bounce (literally) along with the beat of the live music. Owner/operator Huge Monroe is already working on his next Kampot venture but, after nine years of great gigs, the time has come to say goodbye to this legendarily raucous and convivial Cambodian establishment. Receeder, Kampot Playboys, Mr Mammoth, DJ Shine On, DJ Filth Le'Roc and DJ Mute Speaker (and probably several other special Kampot guests) will all be on site to send the venue off with a bang. Over on the east bank of the Kampong Bay River, Julien Poulson and the team behind KAMA (Kampot Arts & Music Association) are currently gearing up for their 'second soft opening', which will take place this Saturday. Julien's Bokor Mountain Magic Band and guests will play a live show to mark the unveiling of KAMA's 'Sun-Ra Space Bar' ...cool! Back in the capital city on Saturday, Jessica Gibson concludes her short run of Cambodian shows with a gig at D22 – at the top of the Phnom Penh Tower. The Baltimore-born professional singer will be joined by maestro Phil Javelle and groove-meister Lewis Pragasam. 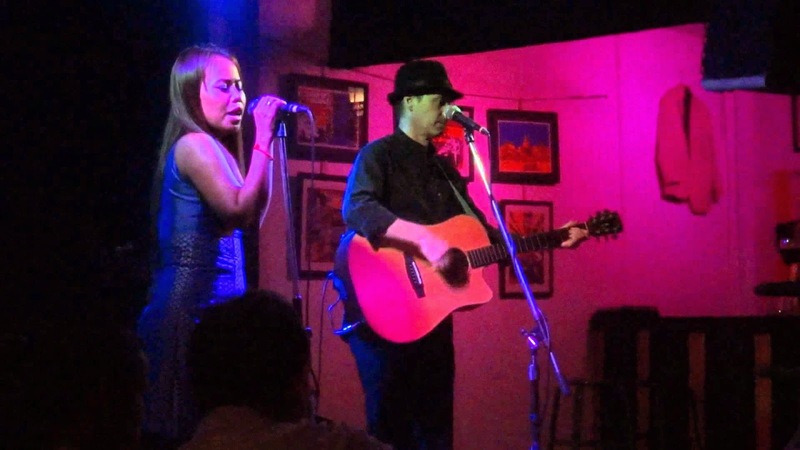 Phnom Penh gig-goers can also catch Jessica's sultry set of blues, jazz and soulful pop at Mao's Club on this Thursday and at Sofitel and Riverhouse Asian Bistro this Friday. R.J. Marshall will team up with guitarist Jeff Sleeman at Sundance Inn & Saloon on Sunday night to perform two sets of 100% original material. 'Americana'-influenced UK singer R.J. has recently been rediscovering some 'lost gems' in amongst his back-catalogue of well-crafted, soulful songs. Jeff Sleeman is the kind of guitar player that stops traffic on Street 172, using alternative tunings and intricate picking patterns to tease out strikingly unusual and beautiful melodies. Should be a great night of creative music-making. Another classy collaboration will take place next Wednesday at Doors when pianist Gabi Faja joins Tamaraka Trio for an evening of sophisticated Latin jazz. Check out the video below to hear Gabi's recent solo piano take on an all-time classic song. 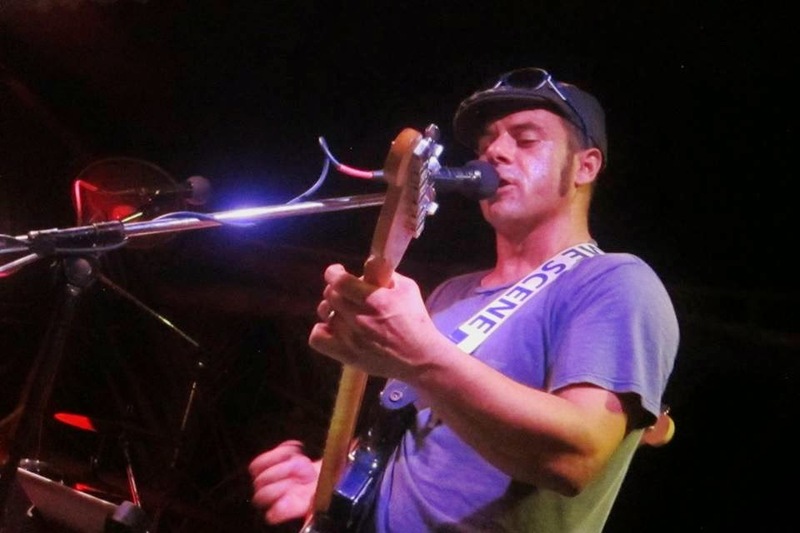 Brand new music from Phnom Penh! You may notice a couple of new download links on the right-hand side of this page, alongside the link to the great new album by Dengue Fever. Invisible Agent is a Phnom-Penh based record label that specialises in ambient and electronic sounds. This week the imprint will bring you the brand-new album Adrift by Ebauche which is a collection of eleven exquisitely-crafted soundscapes recorded in Cambodia, Ireland and Poland. Recently the label also released Soma, which is the latest EP by groovy electronic artist Audio Mainline and is described by the Invisible Agent website as 'a deliciously prescribed sensory capsule, fittingly recorded in Asia’s Kingdom of Wonder'! Hats off to Invisible Agent for consistently producing great original music! Whatever you're listening to over the next few days, enjoy the music and... see you around the traps!